There are days when you go out, see the sun shining and decide not to bring that darn, heavy umbrella. It weighs practically a ton and takes up so much of your bag space. Your poor back and shoulders! Off you go to see the world or maybe just go to work or school. While there, you notice the sky getting gray. You step out to go home, walk a bit when suddenly, you are caught in the downpour. Upon getting home, you take your medicine for cough and cold to avoid getting sick. Here are some additional tips to prevent you from getting sick from the onslaught of rain. You enter your home drenched from head to toe in rainwater. Not that it’s entirely your fault. Sometimes the rain and wind is just so strong that even your umbrella cannot protect you. We strongly suggest taking a shower as soon as you drop your bags in your room. By shower, we do not mean running out into the rain and getting wet again. We mean going under the nozzle for a continuous spray of warm or cool water. How is it any different from taking a shower under the downpour? You see, the rain outside is fairly cold which can lead to you getting, no pun intended, a cold. By taking a shower, you are slowly stabilizing your body temperature. If you aren’t in the mood for a shower yet, soak your feet in warm water to remove any germs and dirt at the same time, slowly take the temperature back to normal. If you are feeling fine, hop into the stall and turn that shower on. As mentioned earlier, the rain can be very cold, to the point that you may feel chilled to the bone. One of the best solutions to avoid getting sick after a strong downpour is something you may have heard already and may have already experienced: drinking something hot. Mums are concerned for your health and will offer you soup as soon as you have wiped your feet. Do not refuse this offer. It is proven that taking something hot can help provide warmth to help withstand the chill. In addition to this, a hot drink can clear up the phlegm accumulated in the nasal cavities and the throat, making it easier for you to breathe. Plus, it makes you feel warm and cozy inside. With the torrid rains comes flash floods or just your basic ankle deep flood. Try to avoid this as these waters may carry a number of illnesses like leptospirosis. If you cannot, do wear protective gear like boots to protect your body from getting wet from the flood. One of the most common illnesses in the Philippines during the rainy season is dengue fever. It is so widespread to the point that some hospitals even have dengue wards. The reason why there is a great number of cases is due to the rain, water can accumulate in different areas around your house such as canals, basins or pots where the dengue mosquito larvae will thrive. To avoid this, throw away any stagnant water around your home. When these containers are not in use, turn them over or if you really do not need them, throw it away. The antioxidant properties of lycopene may protect our immune cells from destructive free radicals, molecules that can harm cells and damage DNA. The best way to get lycopene’which is in the skin, and gives red tomatoes their rich colour’is through cooked or processed tomatoes (juice, sauce and paste). Cook tomatoes with a little healthy oil (e.g., olive or canola), which helps carry the lycopene into the bloodstream. 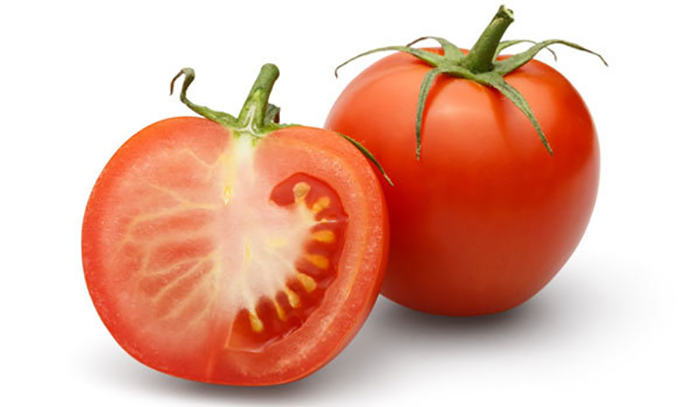 Tomatoes are rich in vitamin C, which, like lycopene, is linked to reducing the risk of heart disease. Most of the vitamin C is concentrated in the jelly-like substance that encases the seeds. Tomatoes are also high in salicylates, which have an anti-clotting effect on the blood, and may be partially responsible for tomatoes’ protective effect against heart disease. Many recipes advise removing the seeds to prevent a bitter flavour. But to conserve nutrients, use plum tomatoes, which have less-bitter seeds. A new Australian study found that adequate intake of lycopene and vitamin A helped reduce exercise-induced asthma symptoms. Tomatoes contain vitamin K, which plays a key role in clotting blood and maintaining strong bones. And, research from Boston University found that vitamin K deficiency is linked to a higher prevalence of hand and knee osteoarthritis. Vitamin A helps maintain healthy skin, hair, mucous membrances, bones and teeth. One cup (250 mL) of chopped tomatoes provides over half of the recommended daily amount of vitamin A for women. Broccoli is known to be a hearty and tasty vegetable which is rich in dozens of nutrients. It is said to pack the most nutritional punch of any vegetable. When we think about green vegetables to include in our diet, broccoli is one of the foremost veggies to come to our mind. Coming from the cabbage family, broccoli can be categorized as an edible green plant. 1. Cancer prevention: Broccoli shares cancer fighting and immune boosting properties with other cruciferous vegetables such as cauliflower, Brussels sprouts and cabbage. Broccoli contains properties that depletes estrogens which usually cause cancer in the body. Research shows that broccoli is extremely suitable for preventing breast and uterus cancer. 2. Cholesterol reduction: Like many whole foods, broccoli is packed with soluble fiber that draws cholesterol out of your body. This is because the fiber in broccoli helps bind with bile acids in the digestive tract. This makes excreting cholesterol out of our body easy. According to a research by the Institute of Food Research, a particular variety of broccoli can help reduce the blood LDL-cholesterol levels by 6 per cent. 3. Reducing allergic reaction and inflammation: Research has shown the ability of kaempferol to lessen the impact of allergy-related substances on our body. Broccoli even has significant amounts of omega 3 fatty acids, which are well known as anti-inflammatory. Along with this, broccoli can also help people suffering from arthritis as broccoli contains sulforaphane, a chemical that blocks the enzymes that can cause joint destruction and hence lead to inflammation. 4. Powerful antioxidant: Broccoli contains antioxidants that can help the body in a variety of ways. 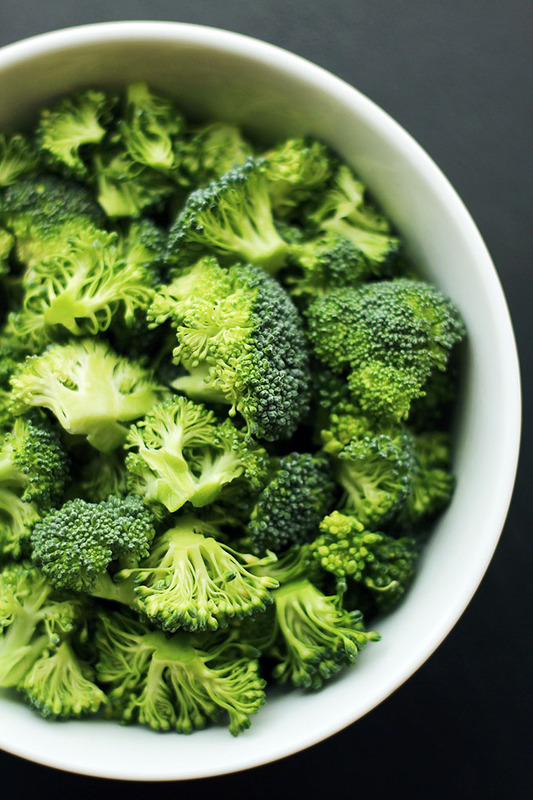 Broccoli is deeply concentrated with vitamin C, making it great for immunity. 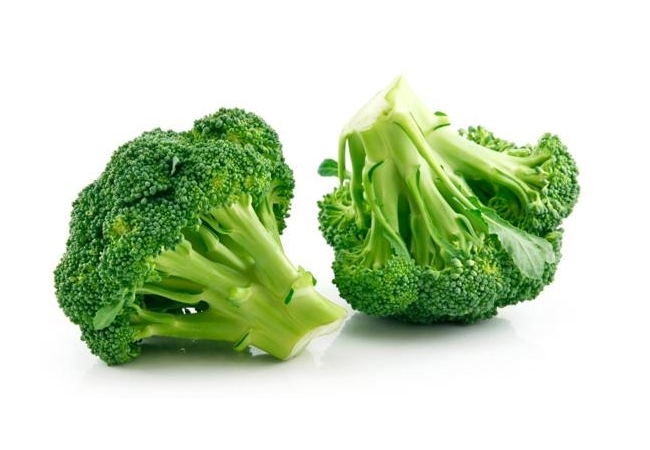 Other than this, broccoli also contains flavonoids which help recycle the vitamin C efficiently. It is also enriched with carotenoids lutein, zeaxanthin, beta-carotene and other power packed antioxidants. 5. Bone health: Broccoli contains high levels of both calcium and vitamin K, both of which are important for bone health and prevention of osteoporosis. 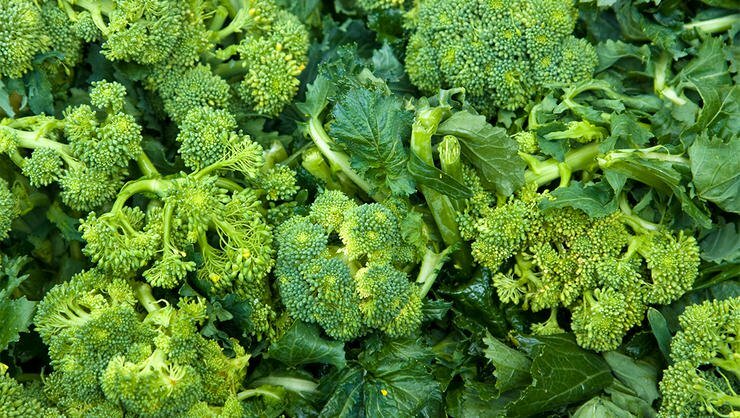 Along with calcium, broccoli is also full of other nutrients like magnesium, zinc and phosphorous. Because of these properties, broccoli is extremely suitable for children, elderly and lactating mothers. 6. Heart health: The anti-inflammatory properties of sulforaphane, one of the isothiocyanates (ITCs) in broccoli, may be able to prevent (or even reverse) some of the damage to blood vessel linings that can be caused by inflammation due to chronic blood sugar problems. Broccoli is great for heart health as it contains fibers, fatty acids and vitamins that help regulating blood pressure in the body. This also helps in reducing bad cholesterol, hence leading to a healthy heart. Broccoli helps protecting blood vessels from damaging as well. 7. Diet aid: Broccoli is a good carb and is high in fiber, which aids in digestion, prevents constipation, maintains low blood sugar, and curbs overeating. Along with this, broccoli is also great for weight loss because it is rich in fiber. It is an ideal green vegetable to include in your salads and completing your five coloured vegetables everyday. In addition to this, broccoli also contains proteins, making it suitable for vegetarians that are otherwise not able to complete their protein requirement. 8. Great for detoxification: Since broccoli is rich in fiber, it can help get rid of toxins through the digestive tract. Other than this, broccoli is also full of antioxidants that help in overall detoxification of the body. Broccoi includes special phytonutrients that help in the body's detox process. This means that the body gets rids of unwanted contaminants. Broccoli also contains isothiocyanates, which help in the detox process at the genetic level. 9. Skin care: Skin care not only includes glow, but also its immunity. Since broccoli is a powerhouse of antioxidants and nutrients like vitamin C and minerals such copper and zinc, broccoli helps in maintaining a healthy skin. This means it also protects the skin from getting infections as well as keep the natural glow of your skin. Broccoli is full of vitamin K, amino acids and folates, making it ideal for maintaining healthy skin immunity. 10. Eye care: Broccoli contains beta-carotene, vitamin A, phosphorous and other vitamins such B complex, vitamin C and E. All these rich nutrients are great for eye health as these help in protecting the eyes against mascular degeneration, cataract and even repairs damage done by harmful radiations we go through by being constantly on our phones or being in front of a screen. 11. Anti-ageing: Since broccoli is enriched with vitamin C, which has numerous antioxidant properties, it is great for anti-ageing. This is because antioxidants help fight the free radicals responsible for ageing. These free radicals often damage the skin. Eating broccoli regularly helps in reducing fine lines, wrinkles, skin issues like acne and even pigmentation. All credits goes to the blog owner. After a long summer break, it's time for the kids to head back to school and focus on classes, sports and other after-school activities. 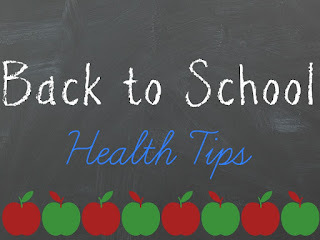 But as you get adjusted to the first month of school, it's a good idea to take a couple of precautionary measures to set them up for a safe, healthy year. 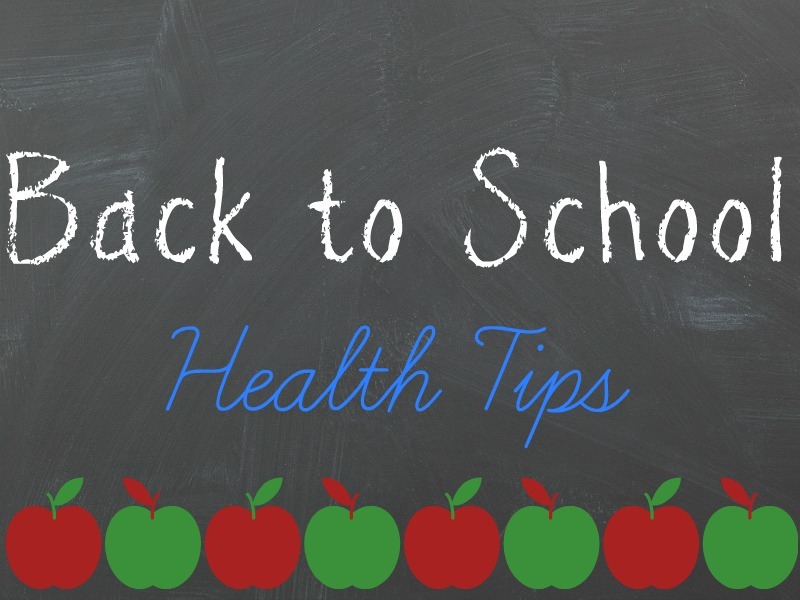 Here are the top five back-to-school health tips to consider. You, your partner and your children should all get vaccinated as early as possible in the school year. Many schools require certain vaccinations before children can enroll. Talk to your children's health care provider and your doctor to find out which ones are recommended, and consider getting the flu vaccine, too. The U.S. Centers for Disease Control and Prevention recommends an annual flu vaccine for everyone 6 months of age and older. It's essential for kids (and adults!) to get a healthy amount of sleep each night to stay focused throughout the day. Although sleep requirements vary somewhat among individuals, most adults need about eight hours of sleep each night, and children and adolescents typically need more than eight hours. To get your kids ready to wake up earlier for school, consider making their bedtimes a little earlier each night for a week or two before school starts. Sticking to a routine is important too, so don’t let weekends become late-night free-for-alls. With so many people around, germs are bound to be lurking in classrooms. To help your kids avoid getting sick (and prevent them from bringing germs home), it's important to show them how to protect themselves. Teach them to wash their hands after using the restroom and before going to lunch or eating a snack. It may be smart to provide your children with on-the-go hand sanitizer to use when washing their hands isn't convenient. You should also instruct them not to share food or drinks with other kids. It might be easy to pack your kids' lunches with premade snacks, but a healthy diet is of the utmost importance, and junk foods don't fit into the equation. Make it easier for yourself by stocking up on healthy foods like fruits, vegetables, whole-grain bread and lean protein like turkey. Take a few minutes during the weekend to cut up fruits and vegetables and prepare things like tuna salad or hard-boiled eggs for convenience in the mornings, and buy plenty of containers for nutritious dinner leftovers. Consider getting a small ice pack and an insulated lunch bag to allow more variety. Back-to-school season is stressful for kids and parents alike, but too much stress can lead to a variety of health issues, like insomnia and sluggish immune systems. Help manage stress by talking to your children about anything that's bothering them, and take care not to overload anyone's schedule, including your own. Schoolwork and after-school activities are important, but it's also essential to take time to relax, play and spend time as a family. Japanese encephalitis is a mosquito-borne viral infection. It is the leading cause of viral encephalitis in Asia. 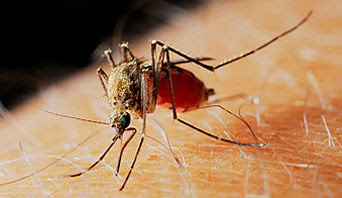 Humans can get the disease when they are bitten by a mosquito that carries the virus. Japanese encephalitis virus cannot be transmitted from one person to another. The Japanese encephalitis virus (JEV) is related to the viruses of St. Louis encephalitis and Murray Valley encephalitis, to the West Nile virus and to dengue and yellow fever. Encephalitis is an inflammation of the brain which can cause fever, headache, confusion, seizures, and, in some cases, death. Fewer than 1 percent of people infected with the virus develop symptoms. However, according to the World Health Organization (WHO), it is fatal for 30 percent of those who do develop symptoms. Not only humans are affected by the virus. Mosquitoes can also infect horses and pigs, leading to encephalitis in horses and abortion in pigs. Wild birds are probably the natural hosts, and mosquitoes are the vectors. A vector does not cause a disease but passes it on. When mosquitoes infect an animal, the animal can become a carrier of the virus. When other mosquitos feed on these newly infected animals, they take up the virus and can go on to infect other animals or humans. People in rural areas where the virus is common are at highest risk. Japanese encephalitis does not usually happen around towns and cities. It is more likely to affect children, because adults in areas where it is endemic generally become immune as they get older. Rainy days are here and the excitement always come to us. However, the season also invites a number of health problems which is very difficult to be dealt with such illness. You should take proper precautions to avoid such health problems peeping into your body. Most importantly, kids need extra care during this season to keep them healthy. Leptospirosos is caused by bacteria that can be carried either by a man or some animal. Its severe form can damage kidney, liver, meningitis and respiratory failure. Keep Rain Gear With you Always – The most effective thing that you can do is to keep your rain gear always ready when you go out in the rainy season. A raincoat with hooded jacket and waterproof shoes are the best items. Vitamin C – Increasing the intake of Vitamin C either in natural form or as food supplement will help you drive away the cold virus faster. It is still a matter of debate among doctors whether Vitamin C is cure for cold. However, a healthy supply of this vitamin will activate your antibodies and reduce the severity of cold, undoubtedly. Shower After Being Caught in Rain – Although it sounds very unusual because if you are drenched in rain, you will never want to take another shower. But taking a shower after you have been caught in the rain will protect you from many infections. Hot Drinks – This is the one season when you would like to take hot drinks. After taking a good bath, dry yourself and wear dry & clean clothes. The best thing is to make a hot soup for yourself or at least drink a cup of hot milk. This will help you from catching cold or save you from catching any kind of infection that can occur due to sudden change in the temperature of the body. Cleanliness – Micro-organisms are susceptible to grow in the rainy season, try to maintain hygiene around you Cleanliness is very important during rainy season. Even if you catch a cold, you should clean your hands regularly and use a sanitizer always after that. Drink Plenty of Water – Water intake may reduce naturally because of the sudden drop in the temperature of the environment. It is good to drink plenty of water and do not wait to get thirsty to drink water. This will help you drain toxins from your body. Watch Out your Intake – Try to eat nutritious food and avoid eating out during rainy season. Prepare meal with full precaution and maintain health and hygiene throughout the house. We hope this tips will help you stay healthy during this season.